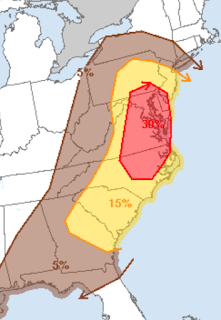 Tornadoes, high winds and large hail are all possible in the 15 and 30% areas. Please keep this in mind when planning your activities. Thanks for the warning, Mike. I alerted the mayor of Mt. Airy, MD and others.